The Genii Speaks - WWL Jr. - WWL Jr. 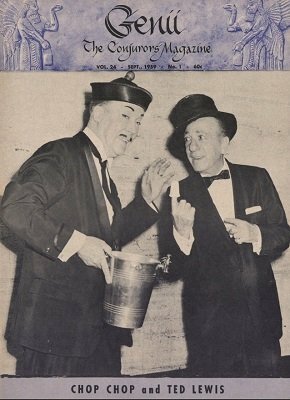 It's Magic - Wilshire Ebell Theater, Los Angeles - Bill Larsen, Jr.
Cover - Frances & Jay Marshall, Esq. Modern Chemical Magic - John D. Lippy, Jr. The Magic 7 - I.G.P. Lodge No. 7 N.Y.C. Bagdad - News From All Over the World - W.W.L., Jr.